So, imagine eating delicious sushi and enjoying a tasty Sake…what a delightful combination! But among sushi, there are many types of sushi. 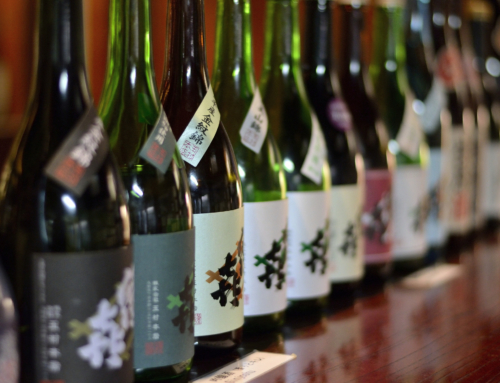 So, in this post, we will introduce different Sake Sushi pairing options, beginning with specific Sake labels. For many, sushi automatically equals Hakkaisan. The lively taste, strong umami of this junmai ginjo pairs well with seafood. For a tasty Sake Sushi pairing, try mild yet deep umami sushi such as seabream snapper-tai, the fatty bluefin tuna belly-otoro, or little less fatty bluefin tuna belly-chutoro. The acidity in these fish (or portions of the fish) have umami which pairs well with this Sake. 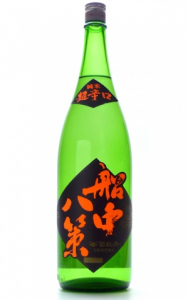 Hitakami Yasuke’s junmai ginjo is a dry Sake with a mellow umami. 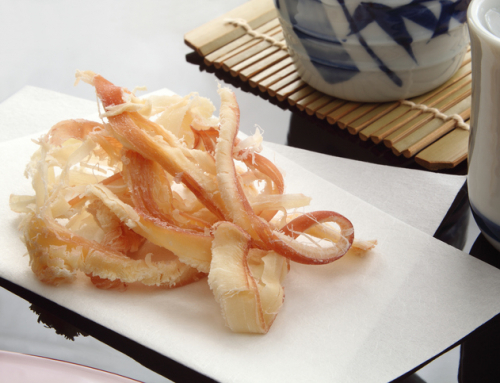 Therefore, for the perfect Sake Sushi pairing, we recommend white fleshed sushi or shellfish like shrimp, crab, etc. The dry edge of the Sake brings out the sweetness of the fish. This Sake Sushi pairing may lead to an unstoppable loop of taking one sip of Sake, then one bite of sushi, and again one sip of Sake repetition! This Sake is also produced at Hitakami, the same brewery as the above Sake. Though the brewery may be the same, we know the different labeled Sakes have their own unique flavors and aromas. Therefore, the Sake Sushi pairing is different as well. The Cho Karakuchi junmai pairs well with blue fleshed fish, tuna-maguro, or any deeply flavored fish. 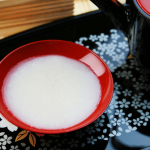 The Sake will wash away any lingering fishy taste or acidity. For the tuna-maguro lovers, we strongly recommend Takeha’s Noto Junmai for the ultimate Sake Sushi pairing. This Sake has a sweet flavor, filling the mouth with a rich rice flavor. The acidity in rice pairs well with tuna-maguro, bring out the deep, hidden deliciousness of the fish. In addition to the lean tuna-maguro, the fatty bluefin tuna belly-otoro, or little less fatty bluefin tuna belly-chutoro and adult-yellowtail-kan buri pair well with this Sake. Unlike the other Sakes introduced, this Sake pairs with the fin of a flounder-engawa, squid, and other slightly particular tasting sushi. Though Ando Suigun is dry, it is a rather mellow junmai-shu. 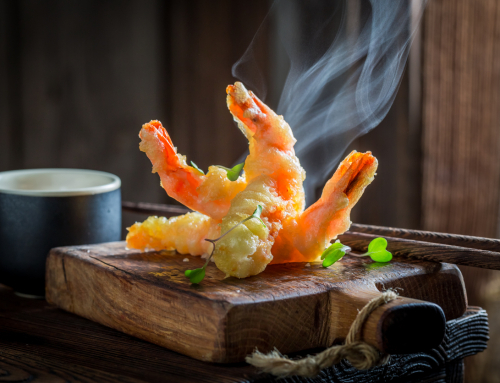 The subtleties of sushi pair well with the deep flavors of the Sake, making this collaboration perfect. Because the Sake has a bit of a kick, even the strong taste of wasabi will compliment this Sake. 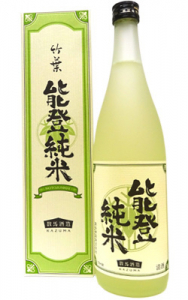 Though this Sake has a rich flavor and aroma, comparatively it is a lighter tasting Sake. 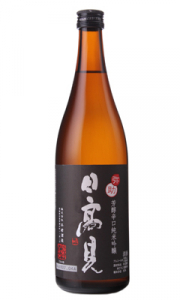 The Sake is filled with umami and has a sharp edge, yet this ginjo-shu is easy to drink. Therefore, this light Sake is the perfect sushi meal Sake, allowing the drinker to enjoy all the flavors of sushi. For the Sake Sushi pairing of Hakurakusei Junmai Ginjo, we recommend white-fleshed fish without a strong taste like hirame-flounder or splendid alfonsino-kimmedai. As expected from a “dai-karakuchi” dry Sake, the rich umami and sweetness of rice is felt along with the acidity this sharp-edged Sake. Because the Sake is neat, skipjack tuna-katsuo, adult yellowfish-buri, or marinated chub mackerel-shime saba are our Sake Sushi pairing recommendations. Because this Sake pairs so well with sushi, we feel the sushi meal with this pairing will not just be delicious but satisfying as well. 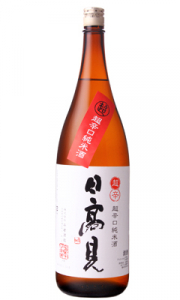 Though Kirinzan is reasonably priced, do not be deceived as this Sake’s umami is of a high quality. 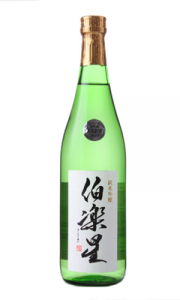 Dry-karakuchi Sake with its sharp edge, the aroma and flavors are of a supreme ginjo-shu. With all the components being balanced so well, it is easy to drink this Sake. We recommend the following Sake Sushi pairing: the super mellow tasting fluke (the type of flounder)-hirame or flounder fin-engawa sushi. This Sake selection may be a little out of the norm. The strong taste of Yamahai is not ordinarily paired with sushi. However, we do not think so. Edomae (Edo style) sushi’s conger-anago sushi pairs very well with this Sake. 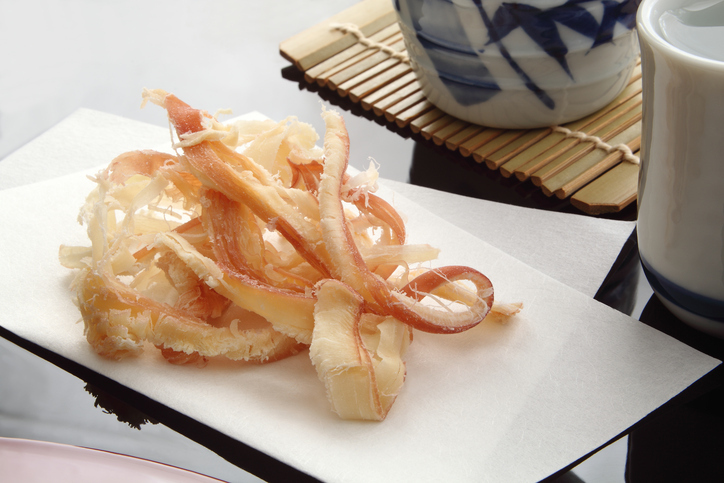 Conger-anago sushi is prepared in a thick, sweet-spicy sauce and placed on top of the acidity-rich sushi vinegar rice. Though the conger-anago sushi has bold flavors, the strong flavor of Yamahai is not overtaken, but rather compliments the sushi. In this Sake Sushi pairing, both the strong flavors build on each other, giving your taste-buds a wonderful, gourmet treat. In addition to anago-conger, unagi-eel is prepared in the same sauce, giving the eater the same sensation. 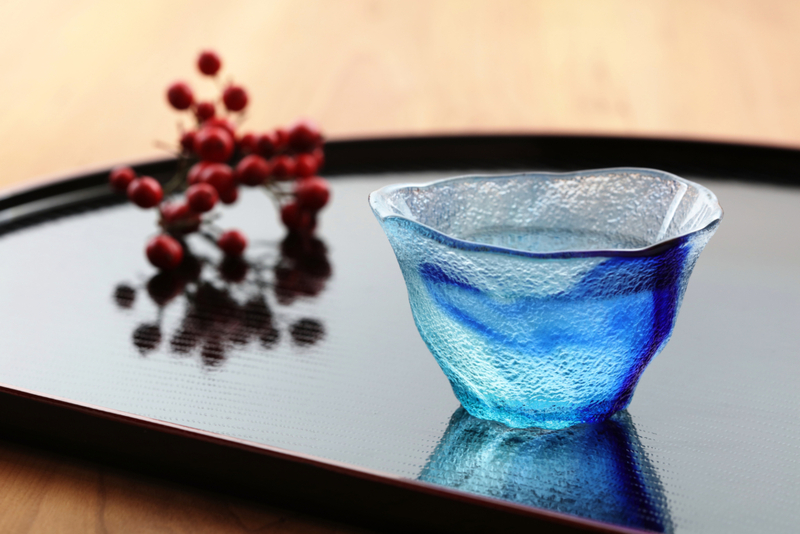 And if you would like more of a treat, serve the Yamahai as a hot Sake. What a luxurious meal! 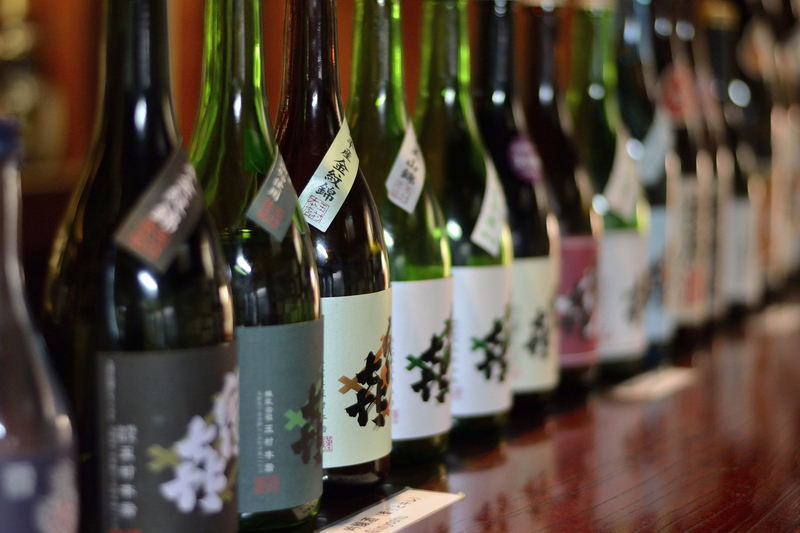 In the previous section, we discussed specific Sake labels and the different types of sushi for a delicious pairing. However, if you already have a Sake you enjoy, let us help you discover a more general Sake Sushi pairing. 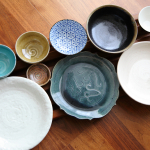 We will introduce the different types of Sake and offer our suggestions on the types of sushi they pair well with. 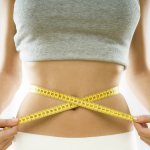 The pairing is based on the flavor, aroma and what is commonly accepted. However, flavor/aroma is a subjective, sometimes a personal preference, so use the guide as a starting point to discover your own Sake Sushi pairing. 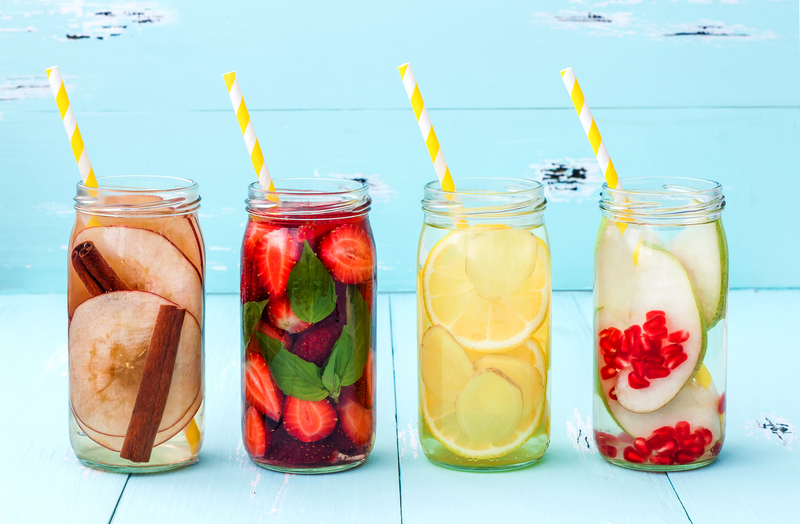 You may discover new delicious pairing options perfect for you! 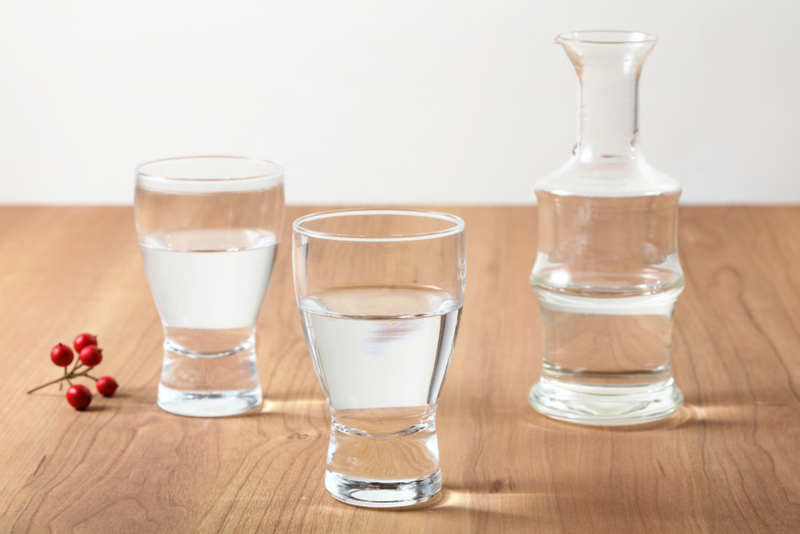 Junmai-shu is a simple sake, made with only rice and clean, delicious water. Because nothing is added, it is said the flavor of rice is directly felt for this Sake. With the strong rice flavor, it pairs well with any rice compatible dish and is said to be the almighty King of Sake Sushi pairing. However, if we were to give our recommendations for junmai-shu Sake Sushi pairing, fish with a high fatty amino acid content like tuna-maguro, adult yellowtail-buri, salmon, these strong flavored fish pair well with junmai-shu. However, if you would like to contradict and collaborate the flavors, salad roll sushi-salada maki, is also a good Sake Sushi pairing option. 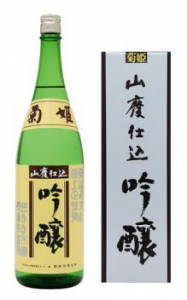 Junmai-shu is said to be a great mealtime Sake and will add to your sushi meal. The strong aroma of ginjo-shu does not pair well with strongly flavored sushi. 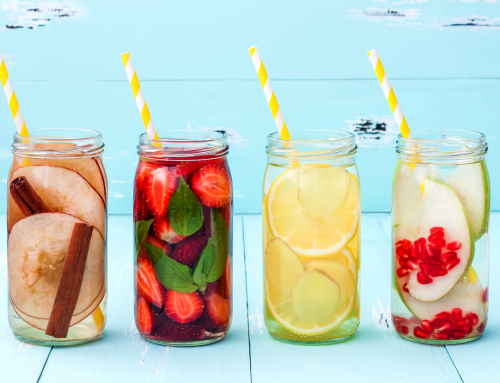 Due to the fruity aroma, it does not pair well with fatty acids. So, the sushi introduced above, such as salmon, would not pair well as the Sake and Sushi would cancel out the delicious qualities of each other. Therefore, if we want to do a ginjo-shu Sake Sushi pairing, white-fleshed fish such as seabream snapper-tai or fluke-hirame are our recommendation. 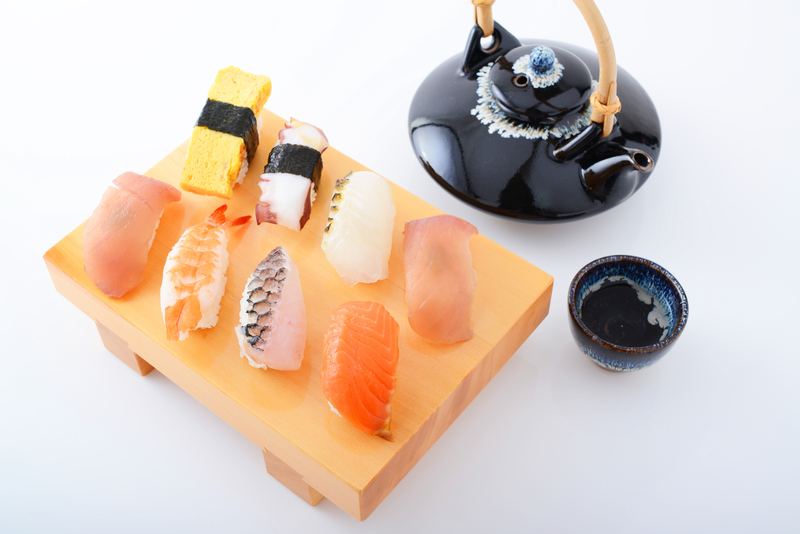 With the refreshing taste of these sushi, the aroma of ginjo-shu can be thoroughly enjoyed as well. 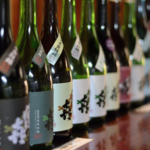 As we know, the taste of Sake can vary according to the temperature. So, let us explore Sake temperature and Sushi pairing. Let us begin with chilled sake-rei-shu. Chilled sake-rei-shu is very smooth. It is said chilled sake-rei-shu pairs well with sushi. However, if the Sake is too cold, the acidity may become severe. First, sip the chilled sake to confirm the acidity level. If it is rather severe, wait and allow the chilled sake to warm naturally before pairing it with sushi. When pairing Sake with the main meal, like sushi, Sake at room temperature-nurukan may be the best! You can taste the natural umami yet the sharpness is not severe allowing sips of Sake throughout the sushi meal. When the temperature of the Sake increases, when room temperature-nurukan Sake becomes hot sake-atsukan, the aroma also increases. When those unfamiliar with Sake, the increased aroma may be too severe. And this may interfere with your senses, making the meal unenjoyable. So, we recommend to begin with a chilled sake-rei-shu or to chill the Sake and allow the Sake to warm to room temperature during the sushi meal. Hot Sake-atsukan is not recommended for sushi meals. We recommend Sake lovers to enjoy hot sake-atsukan after the sushi meal, sipping the hot Sake. 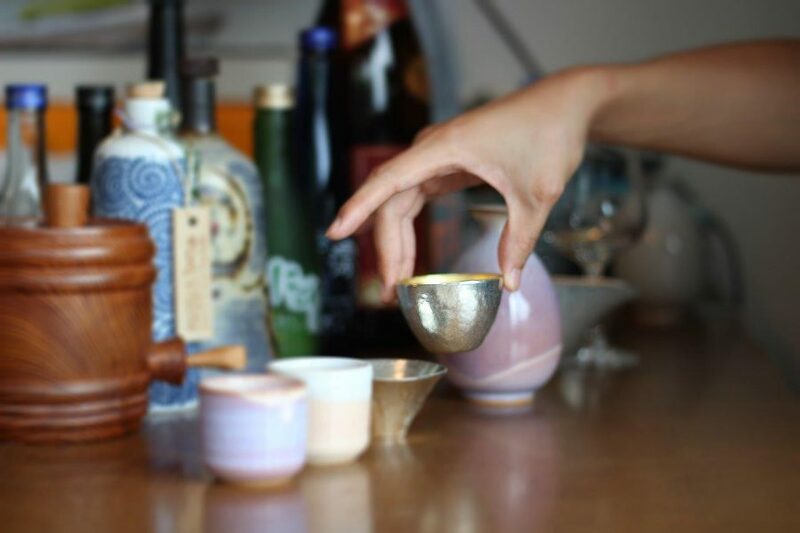 Warming Sake allows the umami to expand and the aroma of the Sake to become even more vivid. However, for serious hot sake-atsukan lovers who wish to partake in Sake Sushi pairing, we recommend conger-anago or eel-uanagi sushi. The sushi with the fish prepared in the thick sweet-spicy sauce pairs well hot sake-atsukan. 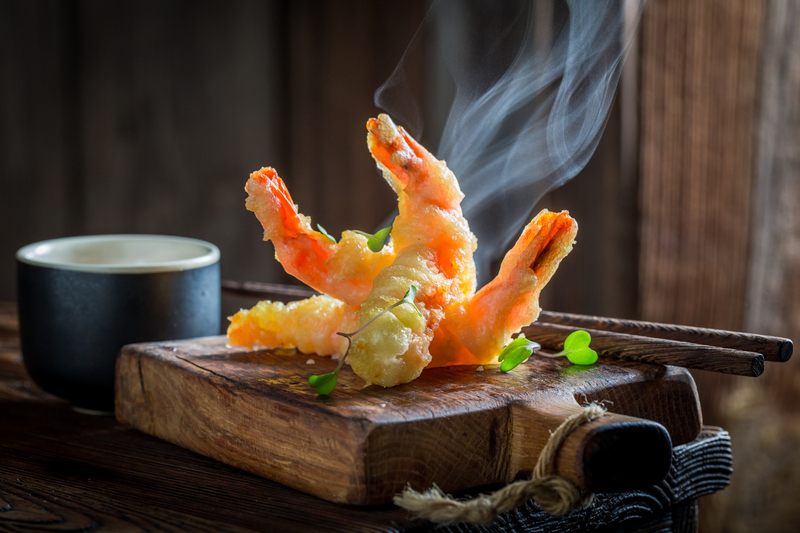 The hot sake-atuskan will warm your mouth which allows the sweetness of the sauce to be felt even stronger.